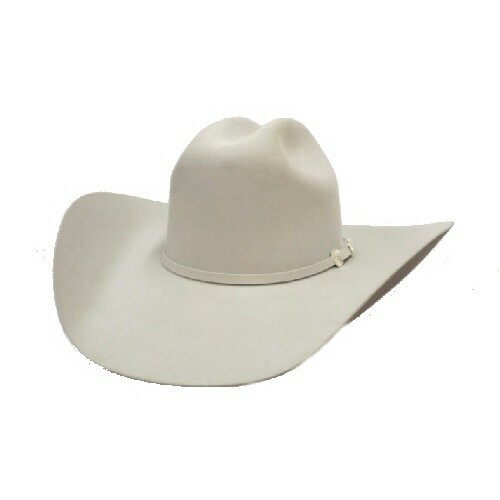 Serratelli Hat Company 6X fur felt Beaumont in platinum with a rancher crease has a 4 5/8 inch crown and 4 1/4 inch brim with a matching hat band and nice silver buckle set. The Serratelli Beaumont makes a nice dress cowboy hat at a good price. The brim has the option to be raised up or brought down.